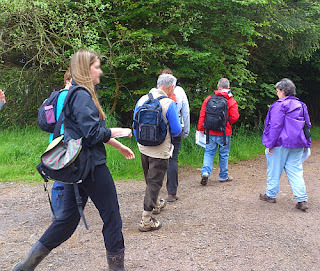 I recently went on a badger course at Palacerigg Country Park in Cumbernauld run by the charity Scottish Badgers. The park is owned by North Lanarkshire Council and has a large variety of animals and educational facilities. Getting to the Cumbernauld from Motherwell is a short journey on the train. However, there is no public transport from Cumbernauld Railway Station to the park so I took my Razor A5 scooter to travel to avoid the long mile walk. The road to the park is uphill so is a bit difficult on the scooter, but on the return journey, it was much easier to freewheel for long periods. There is a footpath to the park, so is not dangerous for pedestrians. When I arrived at the park I was fortunate to meet Emilie who was organising the learning session and she showed me to the small wooden educational building where tea, coffee and some cakes were on offer to everyone on arrival. 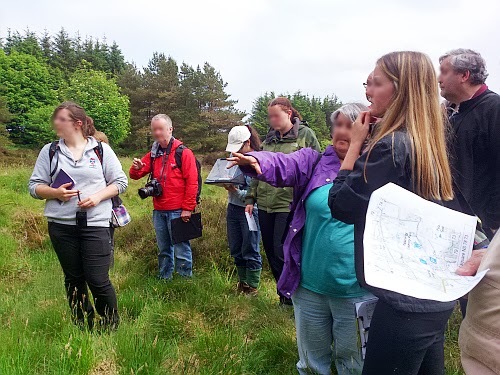 Emilie is the Biodiversity and Heritage Officer of the Central Scotland Forest Trust. The main reason I wanted to go on the course was to learn more about badgers. 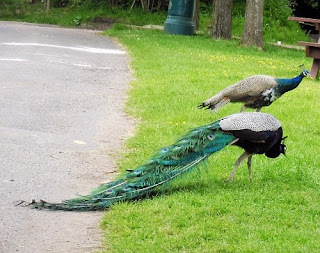 I had been fortunate enough to see them one evening at New Lanark and had often come across their setts and tracks at New Lanark, Chatelherault Country Park and at Dalzell Estate in Motherwell. I wanted to learn more about badgers. The instructor was badger expert Elaine, who is the Development Officer of Scottish Badgers. She had prepared an information pack which was very useful and included information about badgers, some images, information on map reading and some information regarding Ticks and Lyme Disease. 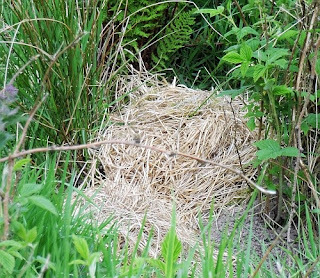 As badgers are often hunted by people with sinister intentions I am not going into great detail on how to identify a badger sett and their locations. Elaine informed us that the badger which is found in the UK is also found in most of Europe and Asia. There are approximately 340,000 badgers in the UK with 34,000 found in Scotland. Most badgers in Scotland are concentrated in the South and Lowlands and their habitats include woodland, hedgerows, sand dunes, moorland, railway embankments, urban areas etc. Badgers have long bodies and short legs and have poor eyesight but have an excellent sense of smell to compensate for this. They have spade-like paws which are excellent for digging. They have black faces with white markings and grey bodies and a small head with long snout. 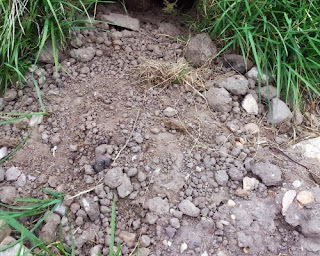 Badgers live in setts and these are joined to other setts by tunnels. There are various different categories of setts in a territory. Badgers, like humans are omnivores, which means they eat both plants and animals. Most of their diet consists of eating earthworms but will eat young rabbits, insects, fruit, crops, slugs and fungi. They tend to be at their heaviest in the Autumn and lose weight over the winter when food is scarce. The breeding season is from February to September, but cubs are born in February to give them time to develop and learn survival techniques in time for the winter. Badgers in Scotland are protected by the Protection of Badgers Act 1992, Nature Conservation (Scotland) Act 2004 and the Natural Environment (Scotland) Act 2011. Anyone convicted of any offences covered by legislation can be imprisoned for up to three years and given an unlimited fine. While on the course we learned how to survey a badger site. The best times of the year are in early Spring and late Autumn when the grass is low and the setts can be seen easily. We were given information on how to identify a badger's path and of the various indicators of badger activity including dung heaps, bedding, scrape marks and snuffle holes. Badger hairs are oval and a test to identify them is the finger roll test. When a badger hair is placed between the index finger and thumb it will not roll due to its oval shape and it is also very strong and will not break easily. Lunch was provided on the course and it was excellent. The food was nice and healthy and very enjoyable. After lunch the group went on to survey an area with badgers to look out for clues on badger activity and to find some setts. The group were also looking for scrape marks, paths and other signs of badger activity. It was very good and we did find some setts, badger paths and badger bedding lying out to dry. 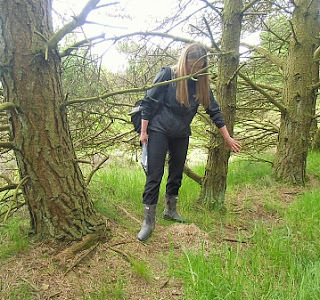 The fieldwork trip also allowed us to make use the information given in the morning session to identify possible areas where badgers would likely to be found. An exercise was set to try and find badger setts and signs of badger activity and we were fortunate in finding some setts, scratch marks and evidence the sett was currently in use. We then made our way back to our base before wrapping up the session and providing feedback on the day. It was a very interesting and informative day and both Elaine and Emilie were very informative and supportive. It was well organised and the learning materials were very well presented and were easy to understand. 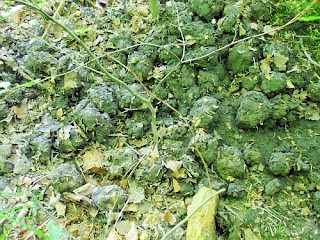 As I go walking about I will be more aware of the signs of badger activity and will conduct some surveys in the Autumn of the setts I come across. Scottish Badgers - Organising the study, conservation and protection of Scotland's badgers. 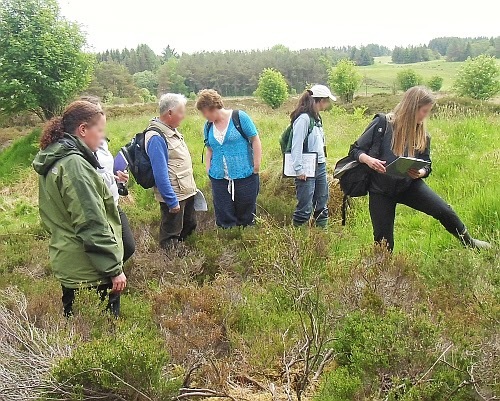 Central Scotland Forest Trust - Maintaining and improving the woodland areas in Central Scotland. Palacerigg Country Park - Based in Cumbernauld in North Lanarkshire.